For no good reason, I’ve never read much short fiction. 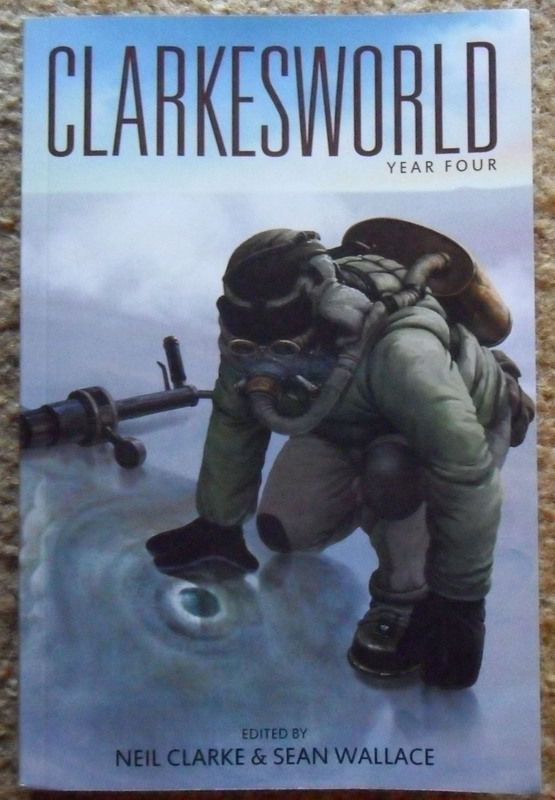 I’ve had mixed luck with anthologies in the past, and that is a terrible reason to shy away from short fiction. 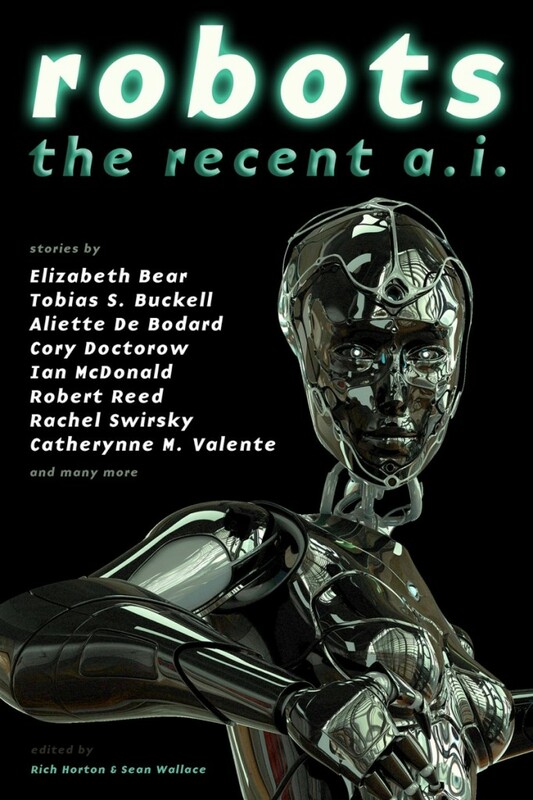 Good thing I ran into Robots: The Recent A.I., an anthology so packed with my favorite authors that I felt like a kid in a candy store. 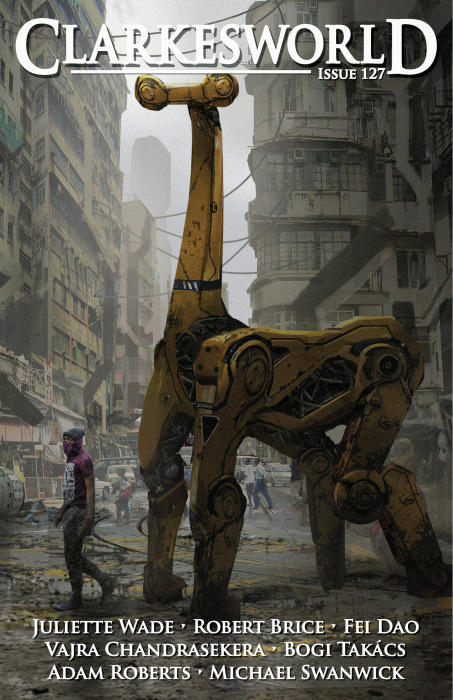 Authors such as Cory Doctorow, Cat Valente, Lavie Tidhar, Tim Pratt, Rachel Swirsky and more whipping up near and far future tales of an aspect of science fiction that is near and dear to my heart: artificial intelligence. How could I possibly say no? Most of these stores have already appeared elsewhere, but I had only ever heard of the Valente and Doctorow titles. Blazing big and bold on the cover is the word “robots”, but artificial intelligence is so much more that a metal machine that can have a conversation with you or play chess. These are the stores about the new holy grail: creating an artificial intelligence that is so close to human we can’t tell the difference. When an AI is so close to human you can’t tell, where is the line between ownership and freedom? Where is the line between loving someone and being programmed to love that person? For a discussion about cold hard programming, where every decision comes down to a sharply defined one or zero, these are some mighty emotional and sensual stories. Some are told from a humans point of view, others are from the point of view of an AI. These are not your Papa Asimov’s robot stories, and it’s suddenly about more than playing chess. It’s one thing to program a machine to believe that it is a human. It’s an entirely different thing to deal with the consequences. Frankenstein’s monster indeed.